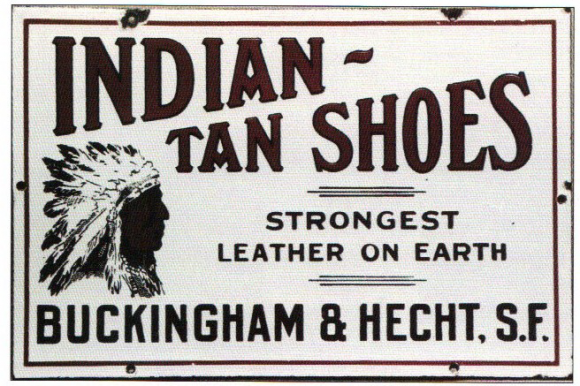 This is a rectangular Indian-Tan Shoes porcelain sign. This particular Indian-Tan Shoes sign is white with black print. It reads, “Indian-Tan Shoes, Strongest Leather on Earth, Buckingham & Hecht, S.F.” and features an Indian head in the lower left corner.